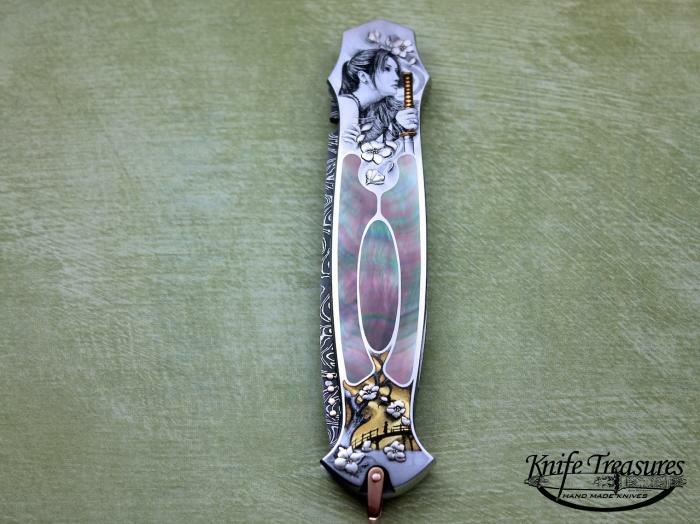 Another incredible knife between 2 Masters! 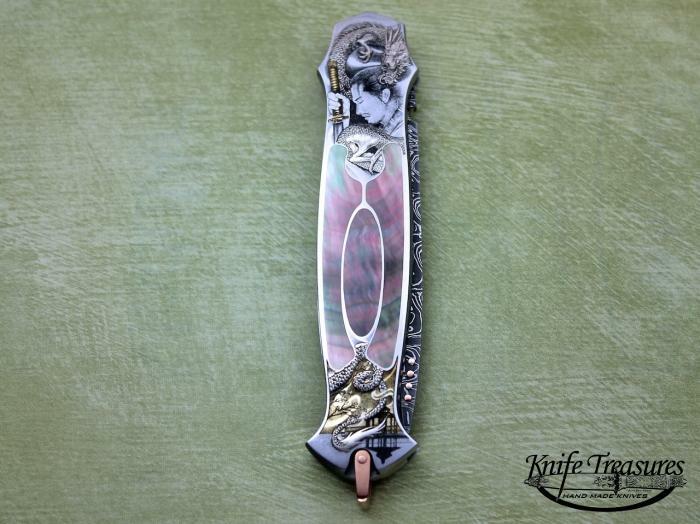 Warren Osborne made this Beautiful piece with it's superb lines and fit & finish. 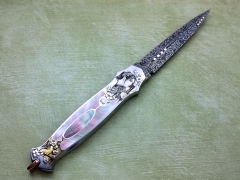 Simone Fezzardi then did an incredible job engraving it with a "Geisha, Samurai, Dragon" Themed engraving. 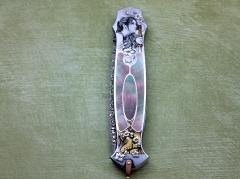 Simone is an amazing engraver and does mostly Bulino engraving but this piece also has quite a bit of built up engraving thru-out. 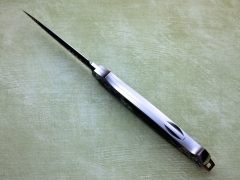 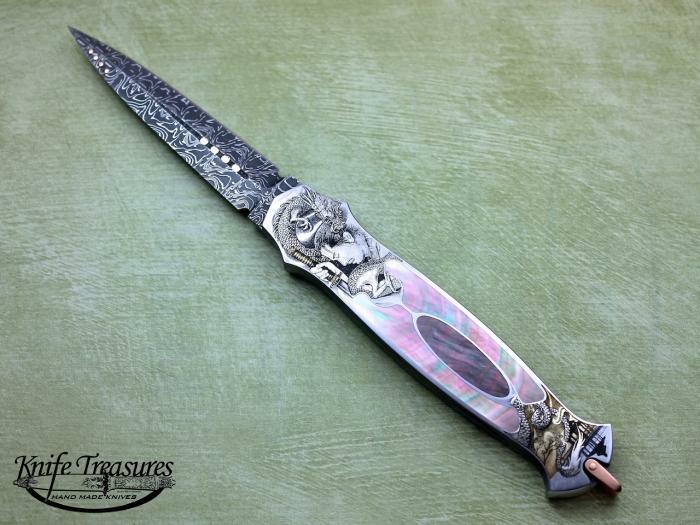 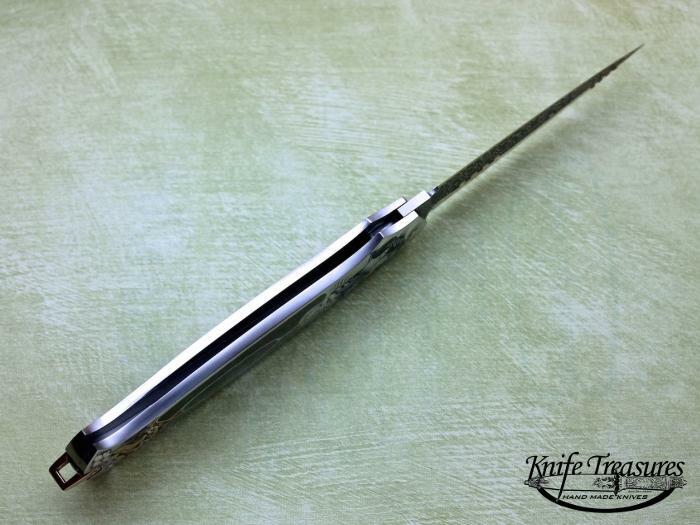 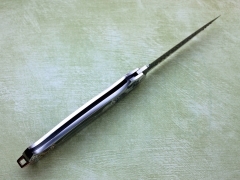 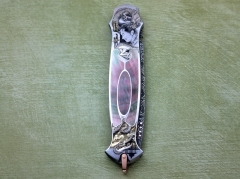 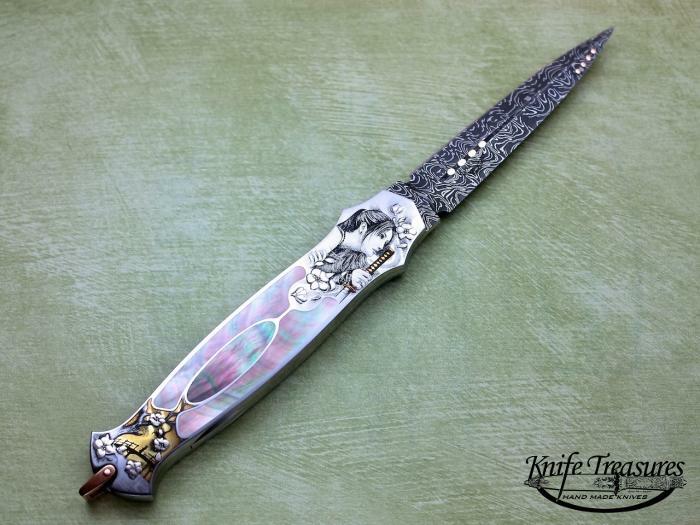 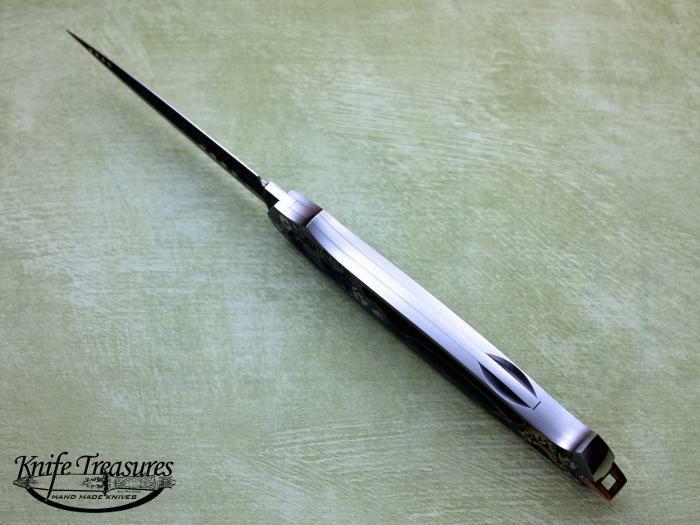 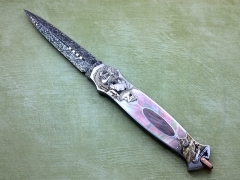 A Fantastic "Art Knife" for any collection.